The Denis D’or, the “Golden Dionysis”, was an early one-off keyboard instrument built by the Czech theologian and pioneer of electrical research Václav Prokop Diviš (1698 – 1765). Described as an ‘orchestrion’ because of its ability to imitate the sounds of wind and string instruments, it is often described as the first electronic musical instrument, yet, due to lack of detailed historical documentation and conflicting contemporary reports this claim remains uncertain. Several accounts describe the instrument as an electro-acoustic instrument where the strings are vibrated using electro-magnets: “…In 1730 the Moravian preacher Prokop DIVIS generated sound by electromagnetic excitation of piano strings . He called his invention Denis d’or “ (Schiffner 1994 , p 62) and “His experiments were based on the electromagnetic excitation of piano strings , but could not prevail despite initially considerable interest to the public .” (Harenberg 1989, p 26 quoted in Ruschkowski 1983, p 347) yet this seems unlikely as the relationship between electricity and electromagnetism only became understood as late as 1820. Denis d’or , an electric “Mutationsflügel” with one pedal , created in 1730 by the Moravian preacher Prokop Diviß of Prendnitz in Znojmo…This instrument was 5 feet long and 3 feet wide, with 790 strings . However, the suspension and the tautening of the numerous metal strings were much more elaborate. The ingenious mechanism, which had been worked out by Diviš with painstaking mathematical accuracy was such that the Denis d’or could imitate the sounds of a whole variety of other instruments, including chordophones such as harpsichords, harps and lutes, and even wind instruments. An untimely anti joke was that the player of the instrument could receive an electric shock whenever the inventor wanted. 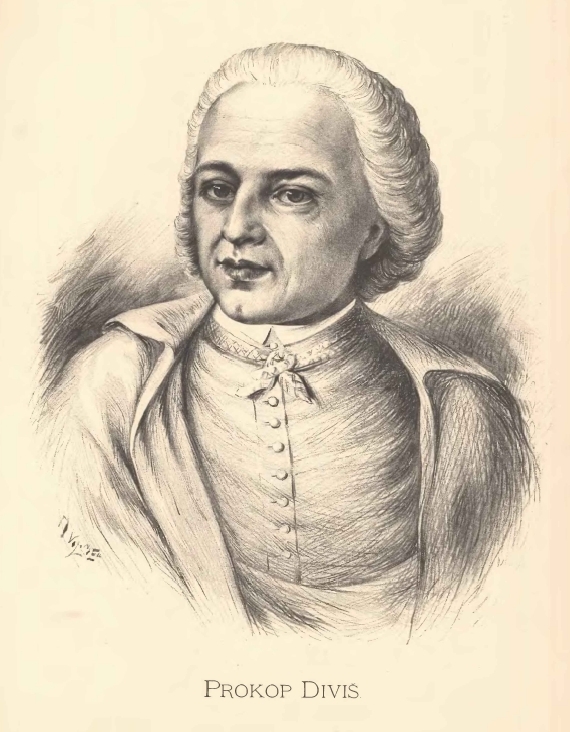 Diviš charged the strings of the instrument with a temporary electrical charge in order to somehow “purify and enhance the sound quality” leading to the instrument being described as an “electronic musical instrument” ( Johann Ludwig Fricker after witnessing the Denis D’Or in 1753) . However, with intricate practical jokes in the salons of the nobility being fashionable at the time of the construction of the Denis D’or, it seems likely (and also taking into account the historical development of electro-magnetism) that the instrument was just one of the many proto-electrical gimmicks of the Baroque and Rococco period rather than a serious contender for the title of the first electronic instrument. SCHILLING , Gustav [ Schilling 1835 ] : Encyclopädie the entire musical sciences or Universal Dictionary of Music , Second volume , Stuttgart 1835/1838 . Harenberg 1989 : new music by new technology? Computer music as a qualitative challenge for new thinking in music , Kassel 1989. Schiffner , Wolfgang [ Schiffner 1994 ] : Rock and Pop and their sounds Technology – Theses – Title , Aachen 1994. Thank you so much! your work is incredible and fascinated! Thank you, thank you! This is a very nice collection …. but there is something missing …. 1929 = The “Trautonium” was invented by Friedrich Trautwein (*1888, †1956) /// I love this site …. go on …. best regards …. First of all, thank you very much for all the information! I am doing a research and I would like to quote the author of these texts in a paper. What is the name of the author? Also, I cannot find the reference “Mendel 1872 , Vol.3 , p.110”, anyone know where I can find this? Mendel is the name of the author? What is the name of the book?